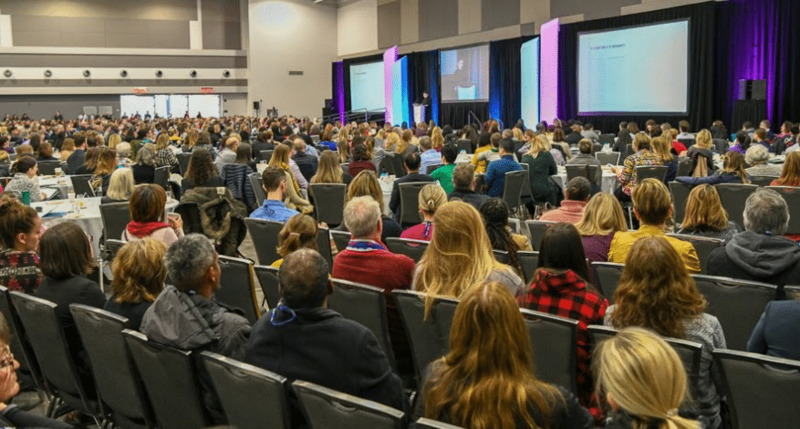 More than 1,200 delegates from across the country and beyond converged in Ottawa from January 28-30 for the Cannexus19 National Career Development Conference, exploring the disruption that is changing how we define work, find jobs, develop skills and succeed in the labour market. Three thought-provoking keynote speakers: MacEwan University President Deborah Saucier challenged the perception that arts degrees are “useless”; Australian career theorist Dr Mary McMahon told the story of the ugly duckling to show how systems thinking can help clients construct their future stories; and the Right Hon David Johnston explored how we can build greater trust across Canada. Dr Roberta Neault was honoured with CERIC’s Etta St John Wileman Award for her lifetime of achievement in career development. The award celebrates leaders in the field who combine being a mentor, educator, advisor, advocate and role model. CERIC launched its new publication, Career Theories and Models at Work: Ideas for Practice with all delegates receiving a complimentary copy. This international collection edited by Nancy Arthur (University of Calgary), Roberta Neault (Life Strategies) and Mary McMahon (University of Queensland) features contemporary and emerging career development theories and models from 60 leading researchers and practitioners. This year’s Cannexus featured more than 150 education sessions with some of the most-attended covering career counselling with soul; trauma-informed career practice, Indigenous stories of post-secondary success; virtual reality tools for career practitioners; and cultivating leadership at all levels. Other programming included a Workforce Development Spotlight that examined big labour market data, the trend towards micro-learning, and how communities can collaborate for economic inclusion. The ever-popular Spark! TED-style talks returned and a special RBC-sponsored panel of leaders discussed Preparing Youth to Thrive in the Age of Disruption. The latest programs, products and services were also showcased by 48 exhibitors in addition to special zones focusing on Social Enterprise and Reconciliation. Cannexus19 was presented by CERIC and supported by The Counselling Foundation of Canada with a broad network of 35 supporting organizations and sponsors. The dates for the next Cannexus are January 27-29, 2020 at the Shaw Centre in Ottawa. The Call for Presenters will open in late March and the submission deadline is June 7, 2019.